So, the majority of issues you run into are within your control. You can do quite a bit to avoid having these problems for the future. This is a fairly easy problem to fix. Usually, you either have a blunt tool or too low of a feed speed. Verify if your feed speed is right for the material you’re cutting. Also, examine your tool. If you’re experiencing issues it may be as simple as replacing your dull tooling bit with a sharper one or increasing your feed speed. CNC machining takes a lifetime to learn. At no point should you consider yourself a “master” who has it altogether. New situations happen that require new thinking and adaptation – even by experienced experts. So, commit yourself to always learning. When you make a mistake, see what you can do to change so it can be prevented for the future. When your CNC machine “chatters,” it simply means it vibrates during the cutting process. Chatter can happen to either your entire machine or just its tool. Chatter harms the quality of your work, dramatically reduces the life of your tool, and can even shorten the life of your CNC machine. To prevent chatter from ever happening in the first place, simply make sure your cut width or depth keeps deflection below 1/1000th of an inch. Most CNC machinists also react with slowing down. That’s not necessarily bad, but there is a better solution. Speeding up can also work, so simply test different RPMs first. Your CNC machine can reach more than 150 degrees Fahrenheit on the inside. Filters can get clogged with dirt and debris, which can even push temperatures even higher. Of course, this can cause serious damage to your CNC machine. Prevention mostly consists of routine maintenance. Have a regular schedule for clearing dirt and dust from your AC units and filters. Cutting fluids and metal shavings should be cleared away routinely, as they can potentially contaminate your equipment. Overheating rarely results from problems other than these. If perform routine maintenance, you shouldn’t have to worry about any serious issues. Be sure to keep these four tips in mind as you do your work. How long have you been a CNC machinist? Years? Decades? Are you considering or just getting started? Every profession has its facts – and some questionable knowledge. Today, we’re going to take a look at some of the myths and misunderstandings out there. To get the same results, you have to set your CNC job up in exactly the same way – without any variation at all. If you’ve had a miscue of some kind, you’re likely misremembering how the job was done in the past. There’s a little bit of truth to this, but it’s still an exaggeration. CNC machining is easier to start from scratch. It allows people with less experience and skills to produce more consistent results. You can automate much of the process, which takes away some chance for human error. However, programming, setting up workspaces, monitoring production, and making adjustments to the cutting process takes experience. It definitely pays off with faster production times and higher product quality. They do…if everything goes exactly as expected. However, while CNC machines automate work and make production easier, they don’t guarantee the same run time for each job. For example, your cutting tools will wear down. You may have different operators who take varying amounts of time to keep the machine running at a good speed. With repeating jobs, you should be able to have a reasonably close time of completion. For new jobs, however, time to complete may vary. 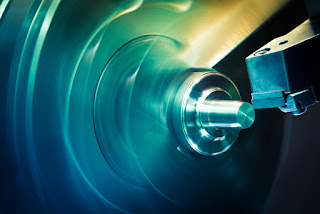 Just about every CNC machine uses a CAM system - that’s right. However, G-code is the output of every CAM system, which your CNC machine uses to run. Even today, it’s faster for CNC machine operators to modify the G-code than it is to make changes in the CAM system. Code still matters, a lot and so does the experience and skill of the CNC machine operator. Yes, running a CNC machine is easier than conventional machinery, but it’s not technically “easy.” Just like any other profession, the more skill and experience you have, the better results you’ll get. Some mistakenly believe learning CNC programming is “easy.” It’s easy to get started and nail the basics but just like anything else, you can spend a lifetime mastering different techniques and nuances involved. For beginners, you’ll pick up CNC programming more easily if you’re naturally good at math – especially coordinate geometry. You can find most of the G-codes you need online, and watch plenty of YouTube tutorials on how to work with them. A simple program contains definition statements, machining statements, and closing statements. To really grow your skills, you must become a “sponge” as they say. Read machine manuals and ask as many questions as you can think of to the experienced operators. Pick the brains of the smartest, most talented employees at your company and give yourself every opportunity to practice. Eventually, you’ll hit the limit of what you can learn at your job. Once you feel like you’ve done that, expand your questions to new shops. Every shop operates differently, so you’ll definitely learn some new things at each one. Ideally, you want to learn the specific thought processes that go into teaching how to use a CNC machine and the location of all the tools to make the necessary modifications to your work piece. Working with someone who’s made all the mistakes themselves in the past saves you a lot of lost time and effort into knowing what works and what doesn’t. Of course, you’ll still make mistakes of your own but, you’ll have someone you can trust to set you on the right path. CNC programming skills. 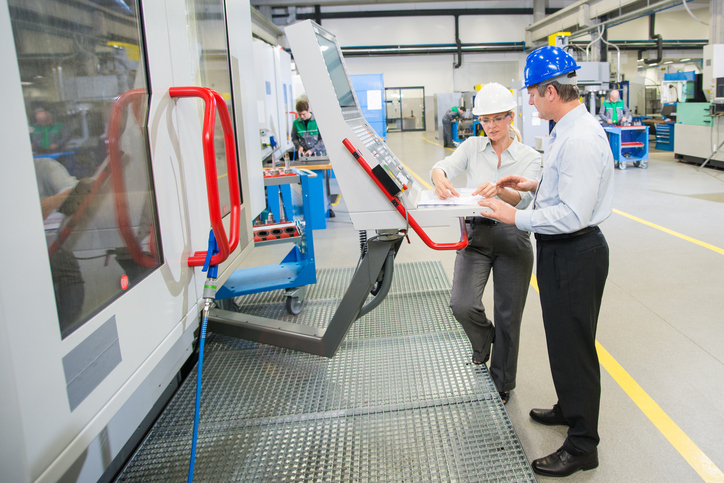 You have a long list of options when it comes to learning since there are a number of private and independent operations that teach CNC programming too. It’s important also to know why you want to learn CNC programming. Are you a hobbyist? Are you a professional looking to get ahead? Or, are you a supervisor who wants to learn how to better communicate with employees? Depending on the level you’re trying to achieve, impacts how far you’d like to go and what methods to achieve that goal. Do you use conventional machines in your personal shop or business? They do have some benefits, but so do CNC machines. With conventional machines, they may require a long period of experience to operate and get the most out of. While experience is a great benefit for CNC machines, in some cases it may not be as necessary as conventional machines. Production quality may be easier to maintain since CNC machines take the human error factor out of production. While both machines take training, consider which machine will be able to maximize your production with a minimum amount of training. Conventional machining works well when you need to make a single custom piece. If you have high production quotas where you need to produce the same part multiple times, CNC machining makes more sense. CNC machinery lets you program your machines to make the same cut over and over with a repeat in quality. Conventional machinery needs help from an experienced operator to make similar pieces. And even then, there are still small variations among the parts. 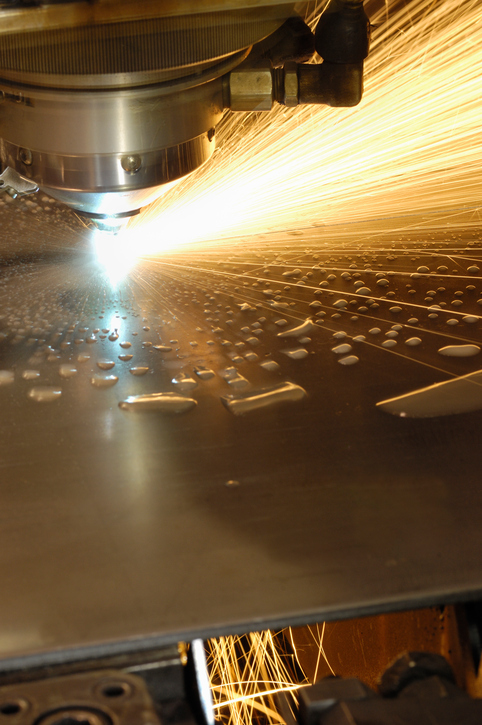 Investing in CNC machinery can drastically cut your labor costs. Conventional machinery requires extensive knowledge, experience, and skill, which can drive up your labor costs. With CNC machines, you can get the same high quality while hiring fewer workers and you’ll also continue to have high production levels. 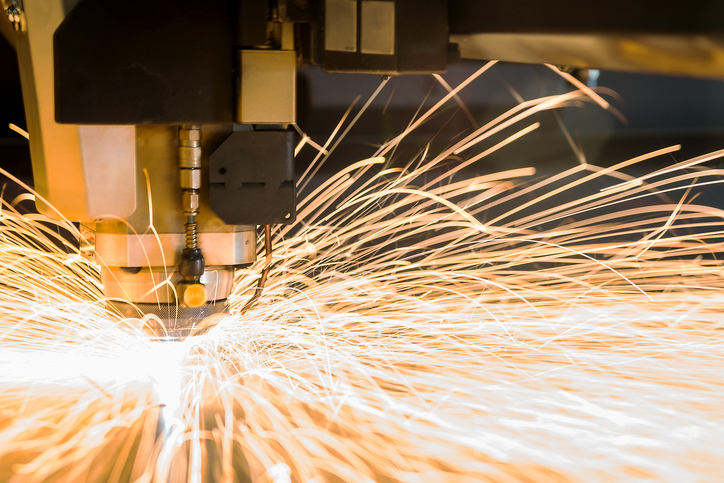 More advanced software can help you manufacture products which are difficult or nearly impossible to make by hand or on conventional machinery. You can also update the software as necessary to improve your CNC machine’s functionality. With conventional machinery, there is little to no software which doesn’t allow you to have a repeatable cut quality. CNC software lets you simulate your idea before even cutting it out. You don’t have to actually produce a prototype, which costs time and money. The time spent creating revision can be drastically reduced through the utilization of the software. You could potentially save weeks or even months of production time so you may spend your labor elsewhere. Many of the mathematical and analytical skills necessary to successfully operate conventional machines aren’t as emphasized in schools as they used to be. As a result, in one sense, there’s a less skilled workforce available. While you can’t go wrong with hands-on training, the industry is heading towards the digital age where tech savvy operators may be the ones running the machines. Depending on the business or industry the modern workforce may have to learn how to operate both types of machinery. While one machine may be a better fit for you, keep in mind where your production may lead to in the future and how you’d like to get there.